The struggle for the coalition starts now, as the challenge to follow through with their promises will be difficult, as the minority clearly now rules. “It’s not a game of SimCity,” NSW treasurer Dominic Perrottet assured viewers on the ABC’s NSW election night coverage. “Sydney’s under construction,” he added, acknowledging the Coalition government’s unfinished infrastructure projects are causing grief, but noting, “I don’t sense any baseball bats.” He was right. Newly-minted independent Joe McGirr has made Wagga Wagga his own, retaining the seat he won from the Liberals at last year’s byelection and building his buffer to over 15%. Long-standing Lake Macquarie independent Greg Piper has put the one-time Labor stronghold squarely out of reach, picking up a 12% swing in the process. Depending on the flow of votes in the lower house, there is talk Piper will be approached for the speakership. Affirming this election’s broad trend away from the major parties, Alex Greenwich retained Sydney with a swing of roughly 3% in his favour. While still in doubt, independent Mathew Dickerson is making a very close run affair of Dubbo, nudging the high profile Nationals’ candidate, Dugald Saunders, a former ABC radio host. The eventual upper house composition will see the Coalition required to deal with a significantly expanded and unwieldy crossbench; a change from their current, more predictable arrangements, usually with the Christian Democrats. One Nation’s Mark Latham looks to have secured the required 4.55% vote share, with his party a chance for a second. At last count, the Coalition had just over seven spots, Labor six, the Greens two and the Shooters one. The eventual upper house composition will almost certainly see the Coalition required to deal with a significantly expanded and unwieldy crossbench; a change from their current, more predictable arrangements, usually with the Christian Democrats. This election will be remembered as a contest of clear delineations for the Coalition. 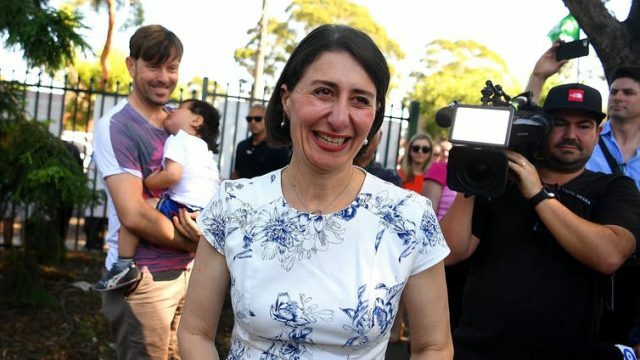 While their partners, the Nationals, took substantial hits in the bush, the Liberals managed to hold the line in the city, losing Coogee but retaining marginal East Hills, against the odds. As Assistant Vice-Chancellor (Strategy and Projects), Dr Andy Marks drives Western Sydney University’s collaborations with government, industry and the community. Andy is a co-founder of the University’s ‘LaunchPad’ business incubator. Established in 2015, with branches in Penrith, Liverpool and Parramatta, LaunchPad is focussed on expanding innovation across Western Sydney via intensive support for Startups and acceleration for tech-focussed SMEs. Prior to his current role, Andy was a senior researcher in the social services sector. He holds a PhD and first-class Honours in ‘politics and literature’ specialising in the representation of politics and identity in contemporary culture. Andy is also a board member of the Western Sydney Community Forum, the region’s leading social services peak body. He is a former member of Australian, ARIA nominated band, Crow and has toured in support of a range of international and local artists such as Nirvana, Nick Cave, You Am I, The Breeders and Pavement.